Heartbreaking. Gut-wrenching. Devastating. Infuriating. Hopeless. Beautiful. Casey Affleck plays Lee Chandler, a man who's down on his luck. For 2 ¼ hours, we accompany Lee on his arc from monastic apartment handyman and hapless legal guardian to township ne'er-do-well and back again. He is an ouroboros, his depression always gnawing at itself, his downward spiral knowing no bottom. It is a beautiful film in the same way Room was: simple, true, raw, bare. The story itself (however haunting and seemingly hopeless many of its characters may be), is nonetheless compelling for the same reason that misery loves company: it advances a sense of belonging. The essence of the film being loss and grief, we can each relate to isolation and loneliness and the desire to belong and connect and attach, and this reality makes Manchester by the Sea a universal and timeless production, if not a painful one to watch. Depending on how you prefer to count, there are at least four significant tragedies here, and arguably three or four more. At their most poignant, they prove kryptonite: you will be melted to the ground, friend, then dried and blown to ash. At one point during the film, the entire theater sounded like one enormous whooping cough ward, with audience-goers sobbing and sniffling and suffering en masse, infected to the core. 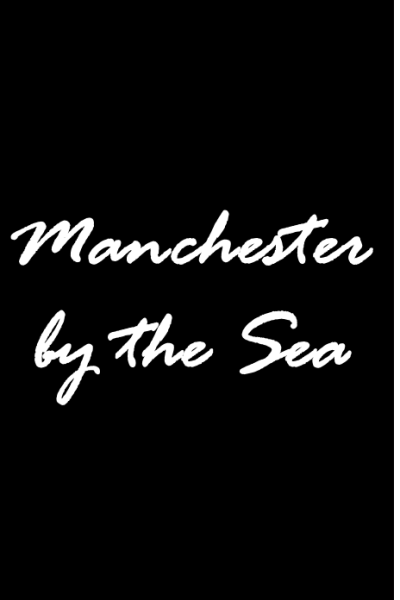 Should you see Manchester by the Sea (which has now been snatched up by Amazon for distribution), I think you'll agree that Affleck is supported by a stellar cast (Kyle Chandler, Michelle Williams, Gretchen Mol, Tate Donovan, Matthew Broderick, and relative newcomer Lucas Hedges) who perform wonderfully, but that the film itself is emotionally suffocating. The affair does not end happily, and that is writer/director Kenneth Lonergan's subtle-as-a-sledgehammer point: not everyone outruns his demons. Some are indeed cast into the pit of despair, never to claw their way out. Being an optimist, however, and a seeker of silver linings, I am happy to report that while one may be disappointed with several characters' choices and destinies, the story probably lands precisely where it must and—when it comes full circle—it does so in such an authentically unhappy and unHollywood-ending-way that my faith in storytelling is temporally restored, and that—in and of itself—is redemptive. Perhaps more than anything, however, Manchester by the Sea reminds me just how searing Affleck's melancholy is to observe onscreen. Whether Chasing Amy, Good Will Hunting, Oceans Twelve/Thirteen, The Assassination of Jesse James by the Coward Robert Ford, Ain't Them Bodies Saints, Out of the Furnace, Interstellar, or this month's The Finest Hours, Affleck always does a reliable job portraying the droll, the dour, and the downtrodden who simmer on low yet retain their burn to the bitter end. He's like Rocky that way. Though it is not an array of emotions one enjoys experiencing, Affleck succeeds again and again at engendering that familiar yet uncomfortable sense of doom, gloom, and despair we all feel from time to time. Acting, which must never discriminate against emotions, rightfully requires and embraces vessels like Affleck, ones who can suitably inhabit then transport tragedies befalling characters like Chandler, who exist for two film-hours at the lowest registers of human experience, thereby reminding us that life is worth living, and all the more because sometimes we are surrounded by the walking dead.